In Middle-earth: Shadow of Mordor Game of the Year Edition players become Talion, a Gondorian Ranger of the Black Gate who is slain alongside his family on the night of Sauron’s return to Mordor. Resurrected from death and inextricably linked to a Wraith Spirit, Talion ventures on a quest of vengeance and discovery to unearth why he has been denied the peace of death. Players uncover the mystery behind the Spirit that compels him, discover the origins of the Rings of Power and confront their ultimate Nemesis. • Inflict brutal combos with your sword, dagger and magical Wraith powers in dramatic, free-flowing melee combat. 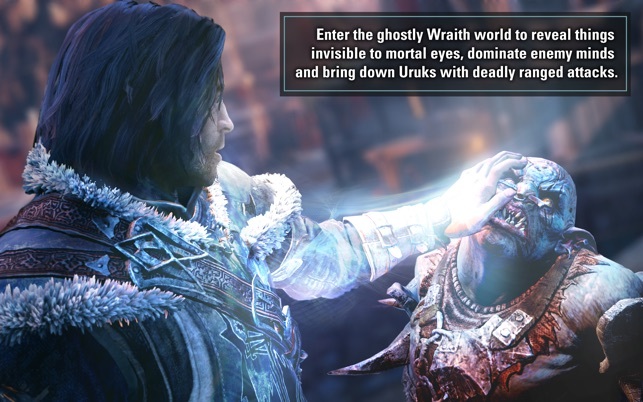 • Enter the ghostly Wraith world to reveal things invisible to mortal eyes, dominate enemy minds and bring down Uruks with deadly ranged attacks. 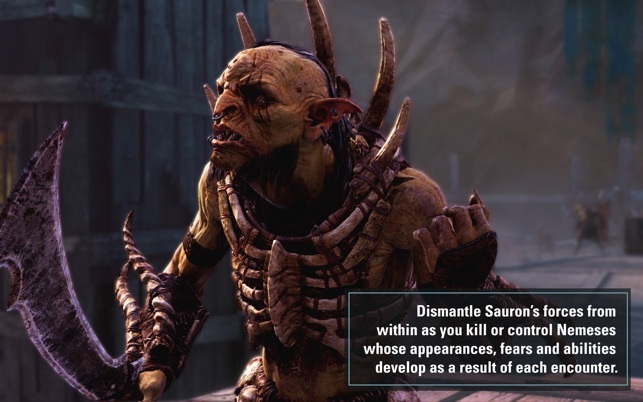 • Dismantle Sauron’s forces from within as you kill or control Nemeses whose appearances, fears and abilities develop as a result of each encounter. 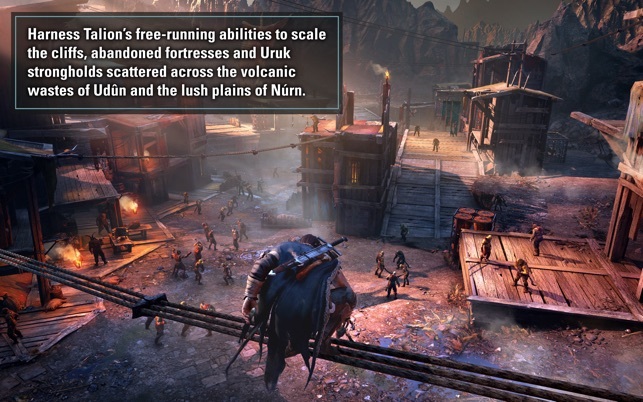 • Harness Talion’s free-running abilities to scale the cliffs, abandoned fortresses and Uruk strongholds scattered across the volcanic wastes of Udûn and the lush plains of Núrn. • Engrave runes on your sword, dagger and bow to bind them with Elven magic, and use your experience to learn devastating attacks and wield Wraith powers. 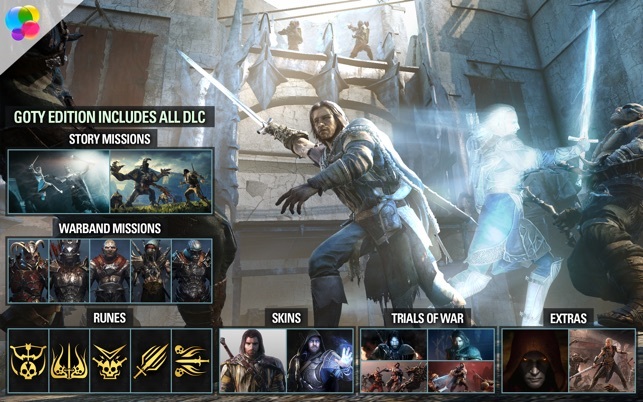 • Middle-earth: Shadow of Mordor – Game of the Year Edition contains all DLC previously released for the game, including the Lord of the Hunt and Bright Lord story missions, the Trials of War challenge series, and all the Warband missions, Runes and Skins. 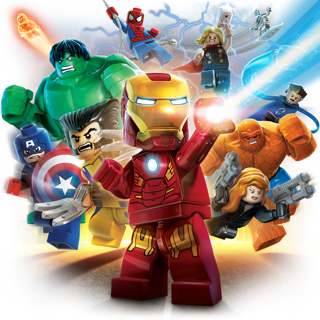 • Minimum System Requirements: Processor: 2.4GHz Intel, RAM: 8.0GB, Graphics: 1.0GB, Free Space: 80.0GB. • The following graphics cards are not supported: AMD Radeon HD 5xxx series, AMD Radeon HD 6xxx series, Intel HD4000, Intel HD5300, Intel HD6000, Intel Iris 6100, Intel HD5000, Intel Iris 5100. MIDDLE-EARTH: SHADOW OF MORDOR GAME OF THE YEAR EDITION © 2014 – 2015 Warner Bros. Entertainment Inc. 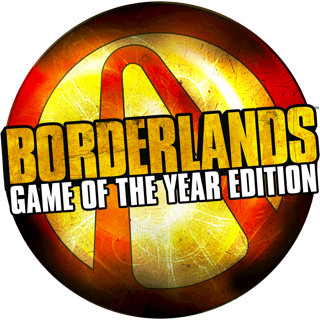 Originally developed by Monolith. Developed for and published on Mac by Feral Interactive Ltd. © 2014 – 2015 New Line Productions, Inc. © The Saul Zaentz Company. MIDDLE-EARTH: SHADOW OF MORDOR, THE HOBBIT, and the names of the characters, items, events and places therein are trademarks of The Saul Zaentz Company d/b/a Middle-earth Enterprises under license to Warner Bros. Interactive Entertainment. Mac and the Mac logo are trademarks of Apple Inc., registered in the U.S. and other countries. Feral and the Feral logo are trademarks of Feral Interactive Ltd. All other trademarks and copyrights are the property of their respective owners. All rights reserved. WBPlay, MONOLITH LOGO, WB GAMES LOGO, WB SHIELD: ™ & © Warner Bros. Entertainment Inc. This is a really great game. Story is very interesting, game play is enjoyable, and the landscape is beautiful. With that said I have a Macbook pro 15” retina display with discreet graphics. I have a Nvidia GT 650m with 1 gb of dedicated GDDR5. This does, for me anyway, make a big difference. I have no issues playing the game on 1280 X 720 resolution and medium graphics. I am also away that the game does say that it should run on less but it does seem to make a diffence. I have not tested this game with an AMD card yet but the Nvidia card works great. The game will challenge you as you progress through the story but keep in mind this is an open world and your choices do affect how the game is played out. Great replay value in my opinion. Keep up the good work Feral Interactive. I’ve never written a game review before but I’m so disappointed in this game here I am. $50 down the drain. I’m not having problems like the others with the game stuttering, infact it looks beautiful but this has to be one of the worst games I’ve ever played for controls. You can’t see where you’re going, it’s hard to tell where enemies are until they’ve spotted you and God help you if you need to fight any. Every time you want to turn the camera swings around and you’re stuck looking at your character’s chest. Sound great except you’ll accidently run into guys you can’t see. Fighting is awful too. It’s just button mashing, but not in the fun way. The controls make it completely unplayable. I was really looking forward to playing this since I’m a huge LoTR fan and it got great reviews when it came out, but I’m only a little bit in and I’m ready to say screw it already. Not worth the money at all. The screenshots do not do service to this great game. You are set in a living world with incredible landscapes and whole towns to scamper through. You can fight straight with your sword, snipe with your bow, or play stealthily. The voice acting is superb and the story is also very good. There are missions to undertake, which keeps you moving forward and yet the world is truly completely open. And there is a light role-playing element, where you can upgrade your weapons and skills. The only downside are a couple “boss fights” — I don’t get why game-makers think these are such a good idea. In summary, if your computer can handle this game, you will find a long opportunity to have fun and put yourself in the LOTR world. 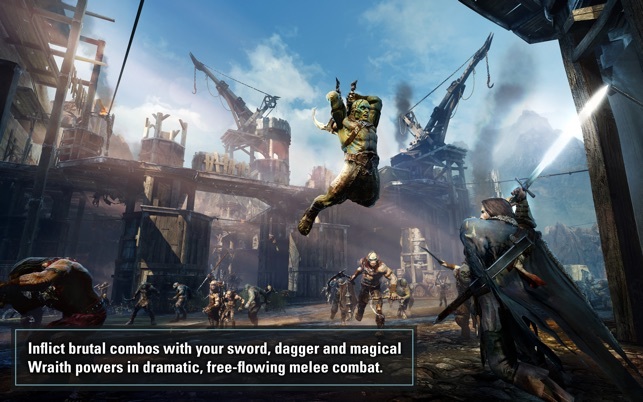 Middle-earth: Shadow of Mordor © 2014–2015 Warner Bros. Entertainment Inc. 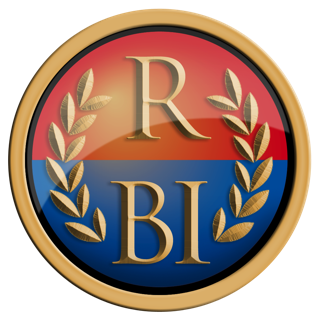 Developed by and published on the Mac by Feral Interactive Ltd.